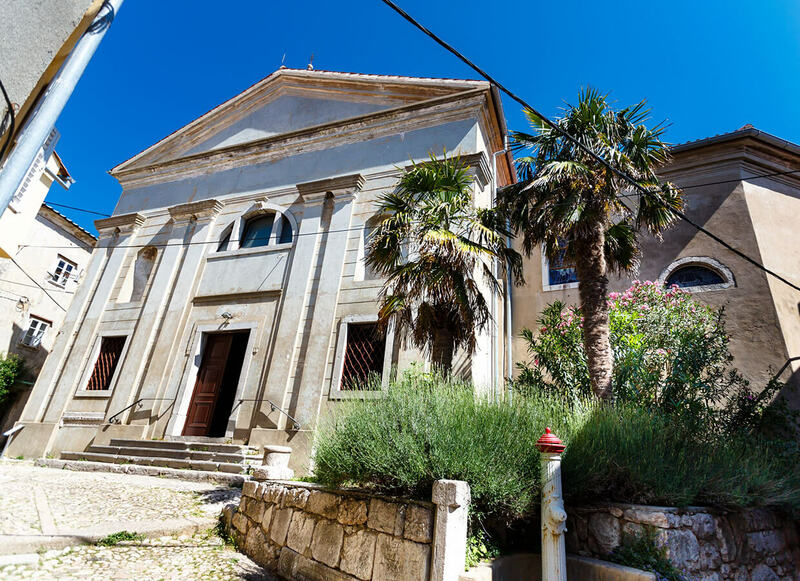 After receiving the Duke’s approval in 1766, the people of Punat decided to build a parish church. 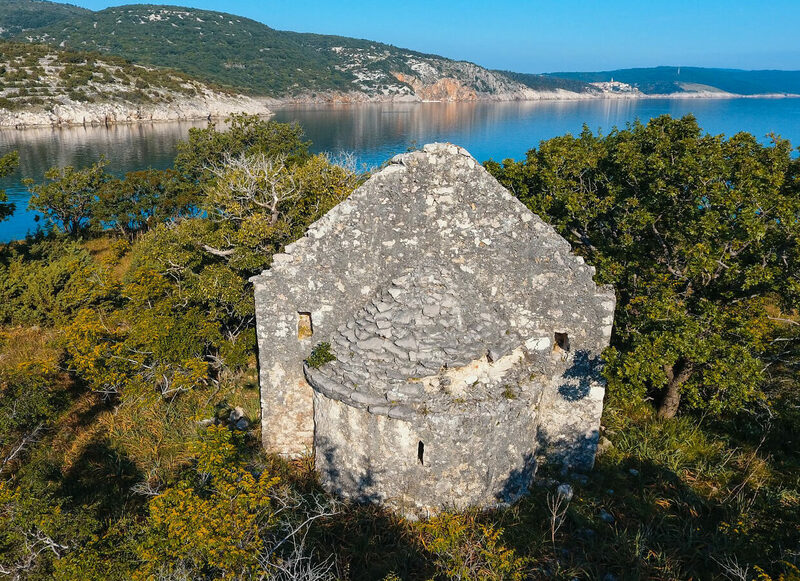 The church of St Donatus stands on the sea coast in the Puntarska cove, at the crossroads of paths leading towards Punat, Vrbnik and Kornić. 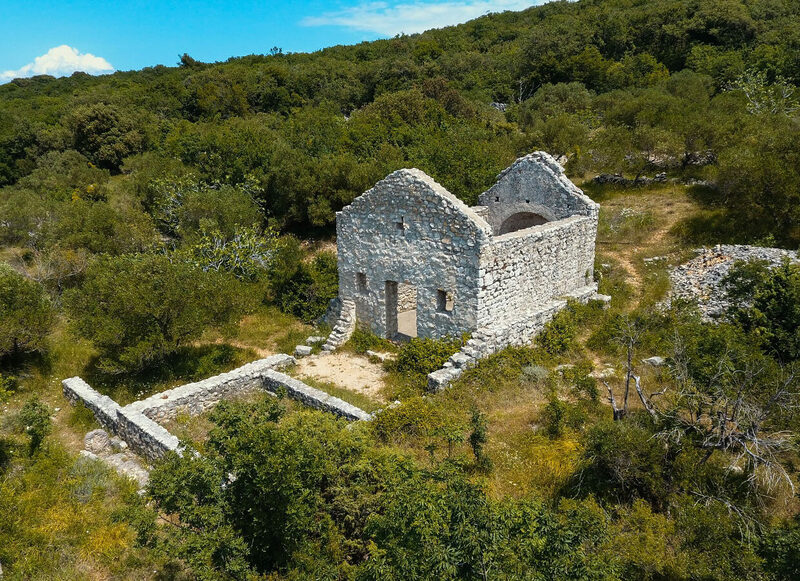 At the site of Mala Kras, just a few kilometres south of Punat, there are the remains of the Romanesque church of St George. 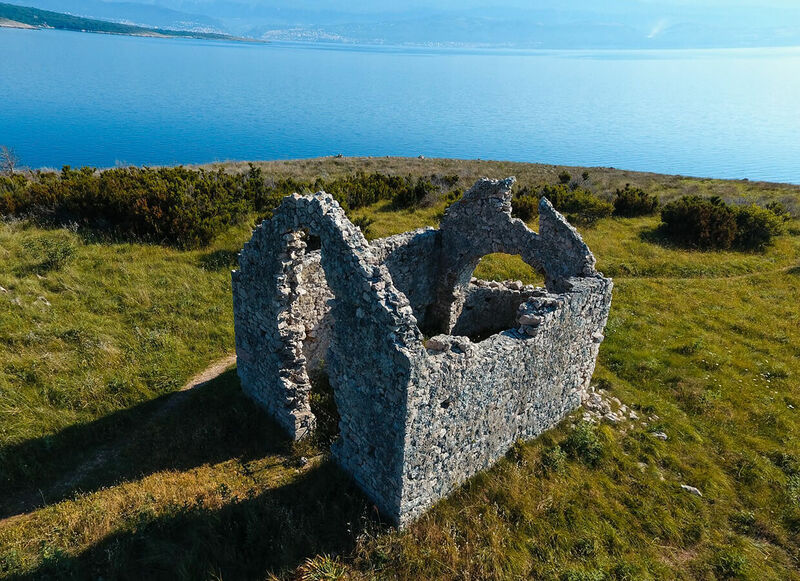 The remains of an interesting sacral structure, a kind of “church babushka”, were found in Puntarska cove in the area of Kanajt, above the marina. 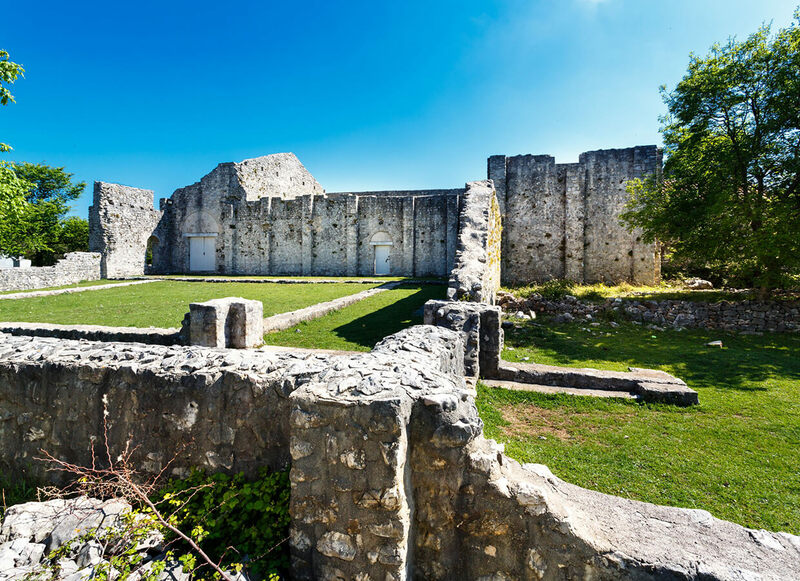 Punat is a tourist place situated in the picturesque bay in the south-western part of the island. 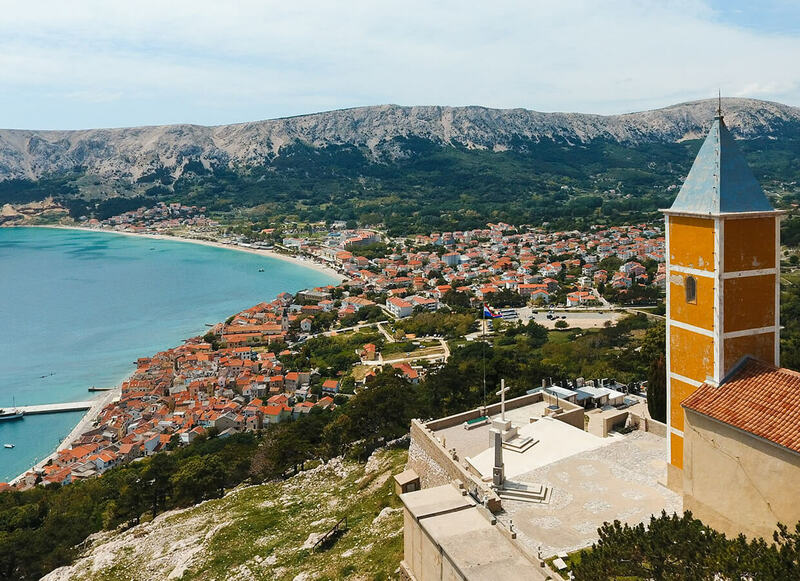 To the east of the bay of Baška, there are two deeply indented coves, Vela Luka and Mala Luka. 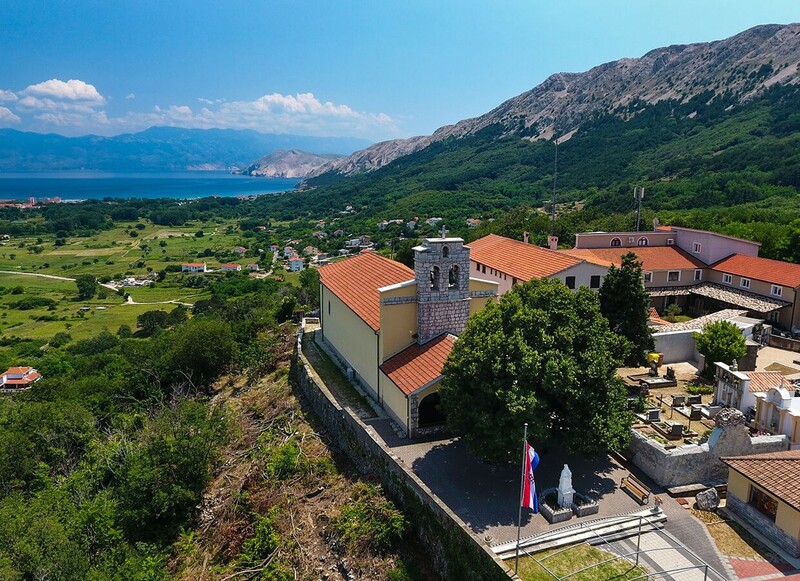 On the hill to the north-east of today’s Baška, there is the church of St John the Baptist. 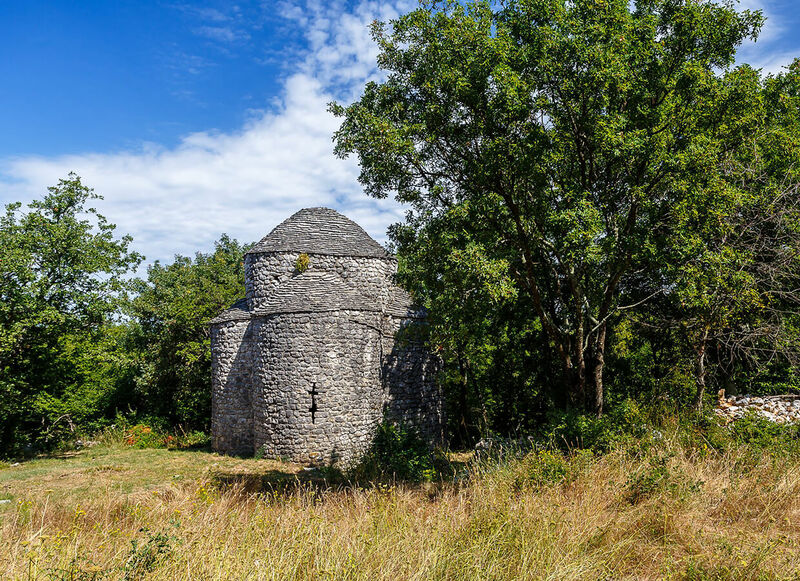 It is a Romanesque, monovolume structure with an apse protruding on the east side. 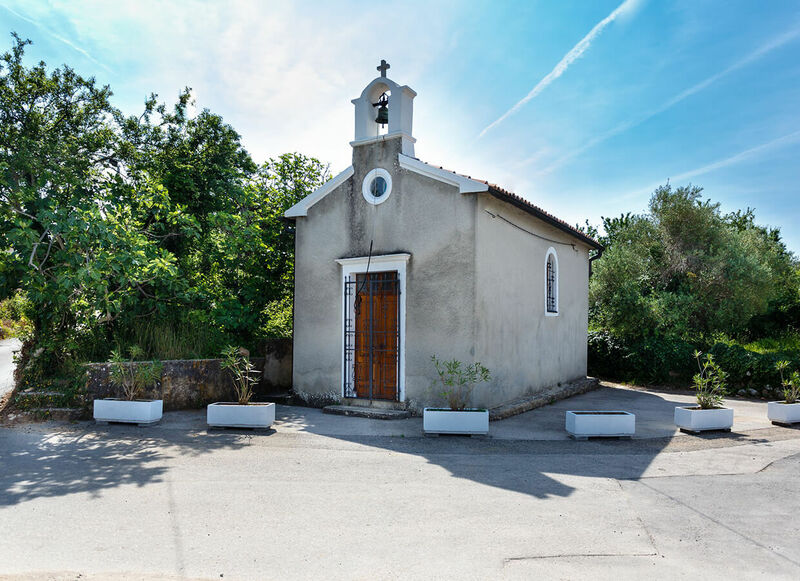 For a long time, even since the 16th century, the church has been the place of pilgrimage not only of the local population, but of the entire island. 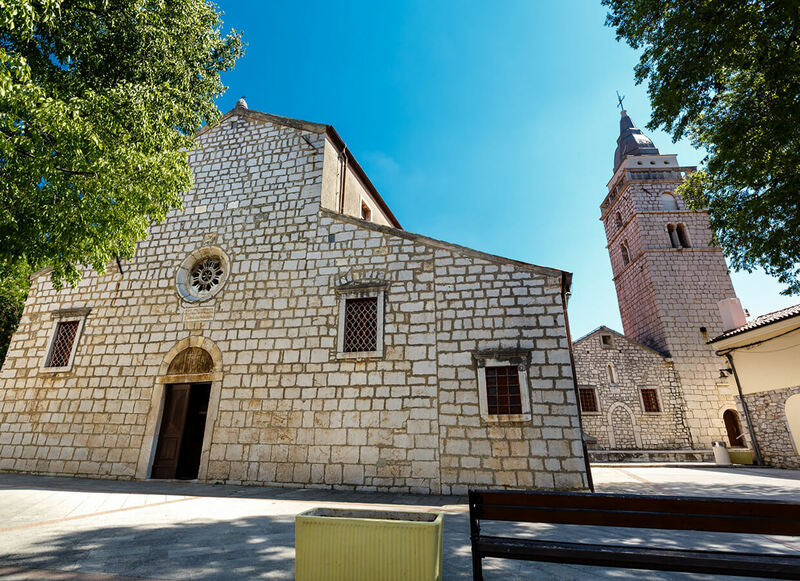 As the people of Baška moved closer to the sea, the then parish church of St John was too far away for everyday liturgy, which is why the parish church of the Holy Trinity was built in Baška. 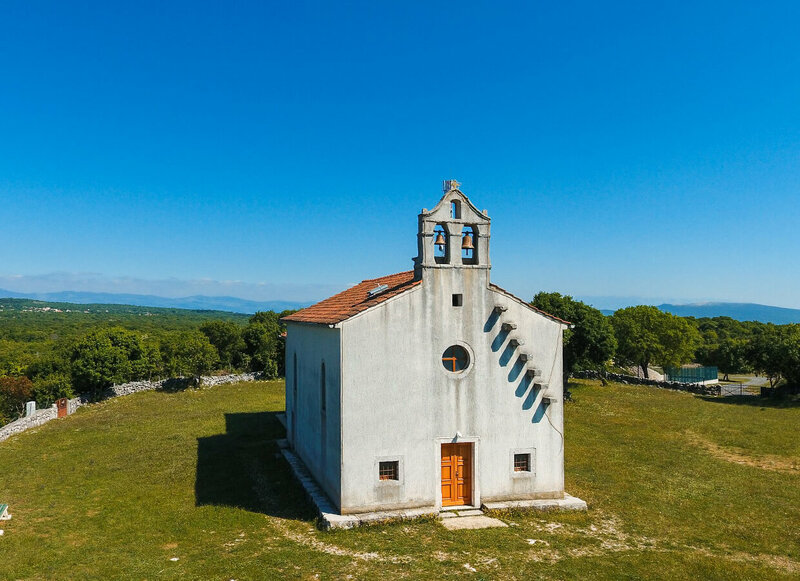 The church of St Lucia is located in Jurandvor, a small village to the north of Baška. 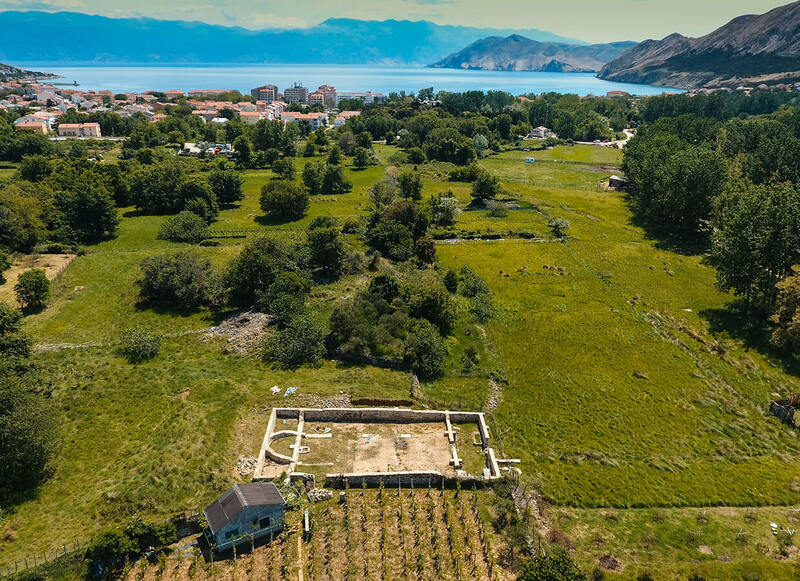 Along the road leading to Baška, near Jurandvor, there are the remains of an old Christian sacral structure from the 5th century, discovered recently, when a mosaic floor of an old church appeared under the plough field. 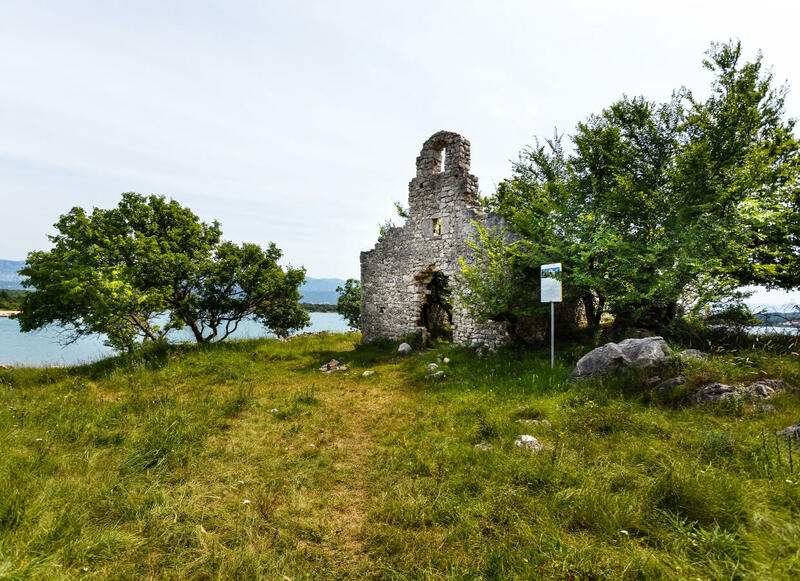 Almost in the centre of Baška, there is a modest little church under which there are the remains of one of the most magnificent old Christian churches, not only on the island of Krk, but in the entire Croatia and the Adriatic. 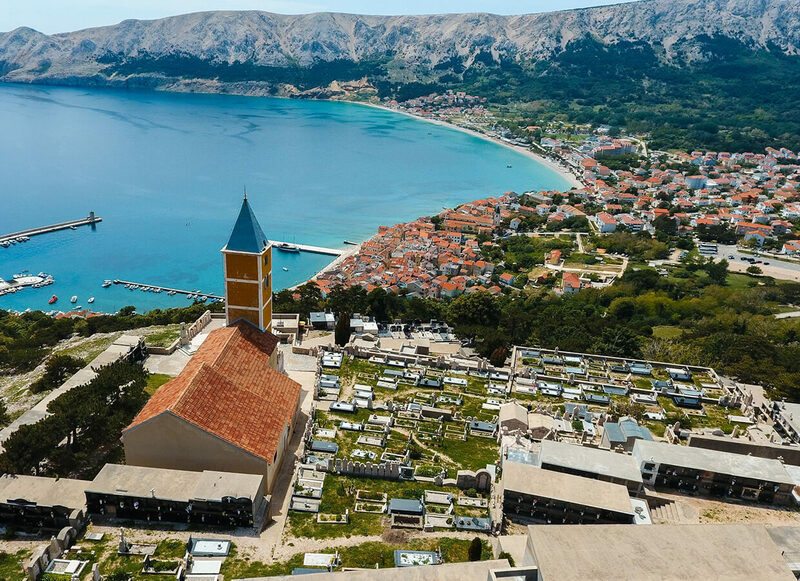 The life in the Baška area was conditioned by the rich valley open towards the sea. 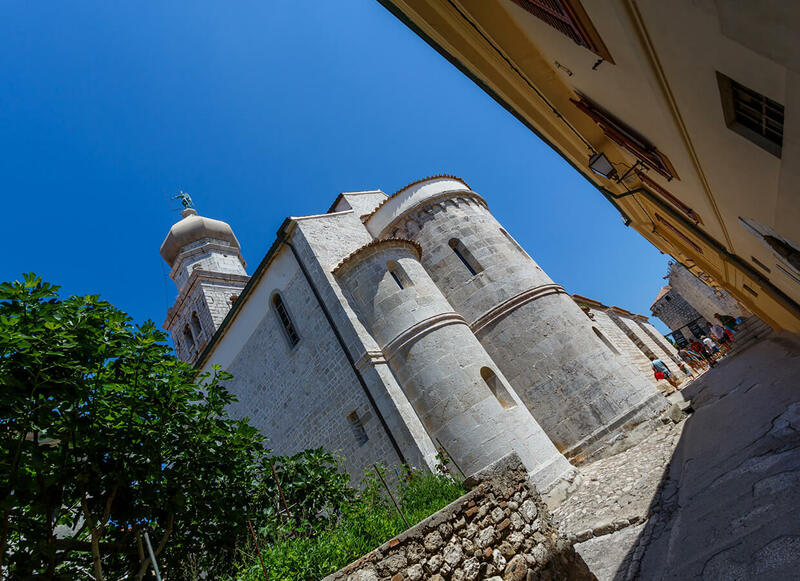 Near the village Milohnići there is a real gem of sacral architecture on the island of Krk. 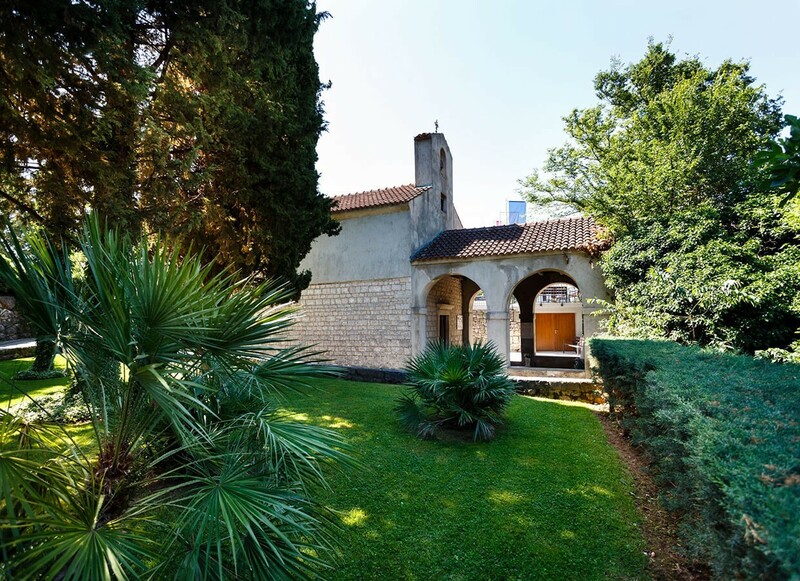 The Franciscan monastery in Porat is dedicated to St Mary Magdalene. 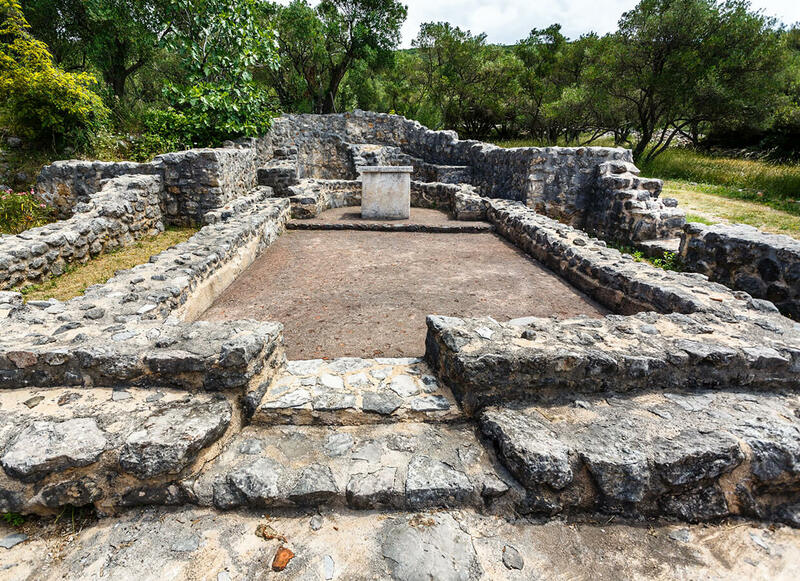 In the beginning, this was the site of a small chapel with a few monks arriving from Glavotok. 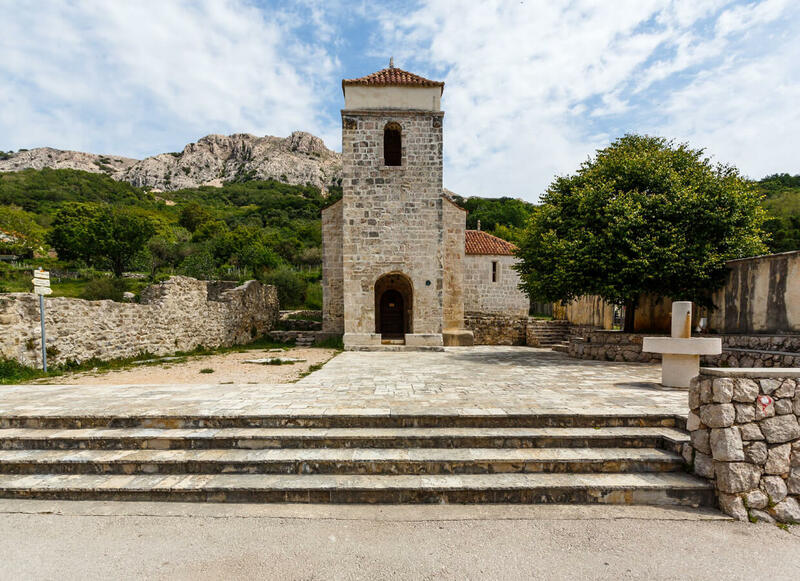 The monastery of Third Order Franciscans, the so called Glagolitic priests, was located in the village Glavotok, isolated by the sea. 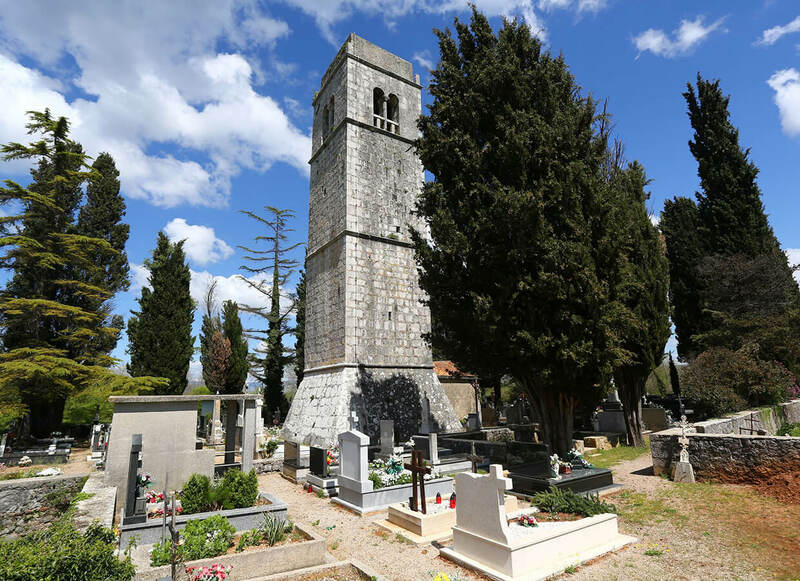 The old parish church of St Apollinaire was situated near the village Bogovići where even today the old cemetery and the bell tower can be found. 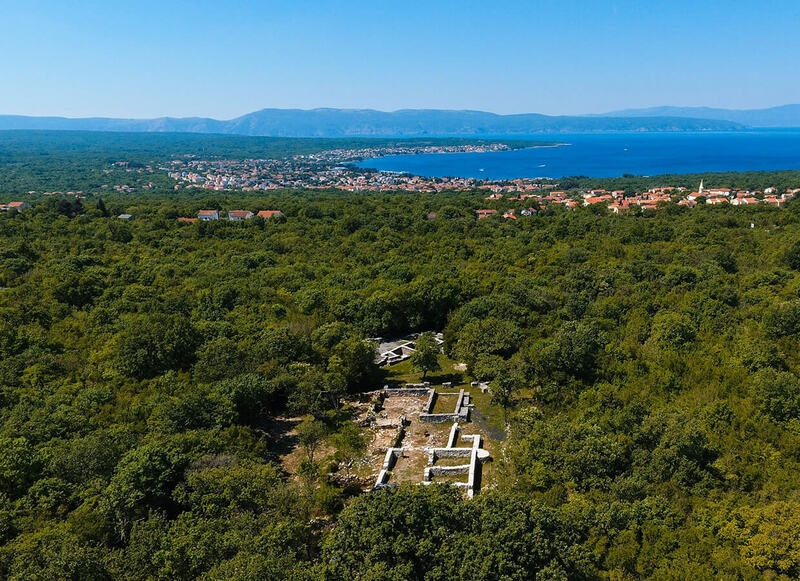 On today’s road from Omišalj towards Krk, near Malinska, there is a narrow path through the thick forest leading to an important archaeological site on the island of Krk called Cickini. 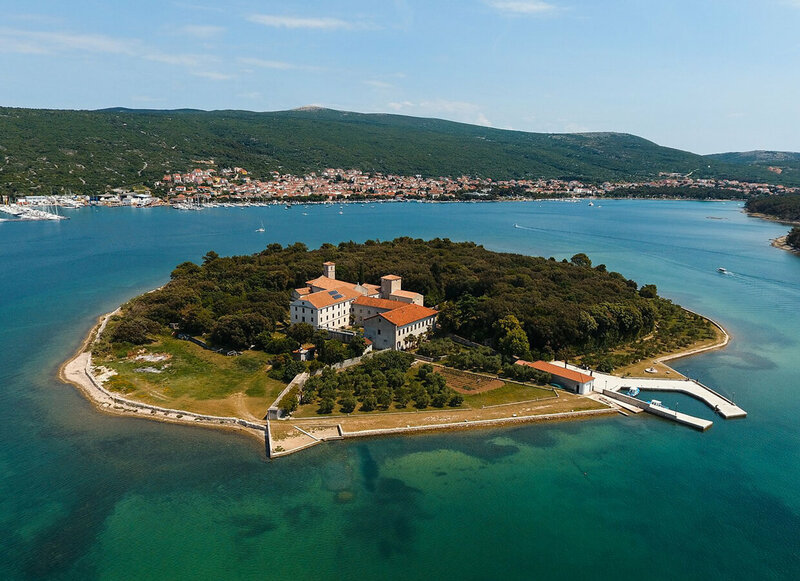 The small littoral place Malinska, which used to be an important port and a market, is today an attractive island tourist destination. The Byzantine castrum is situated under the ridge of the isle of St Marco, on the citadel itself and it dates back to the 6th century. 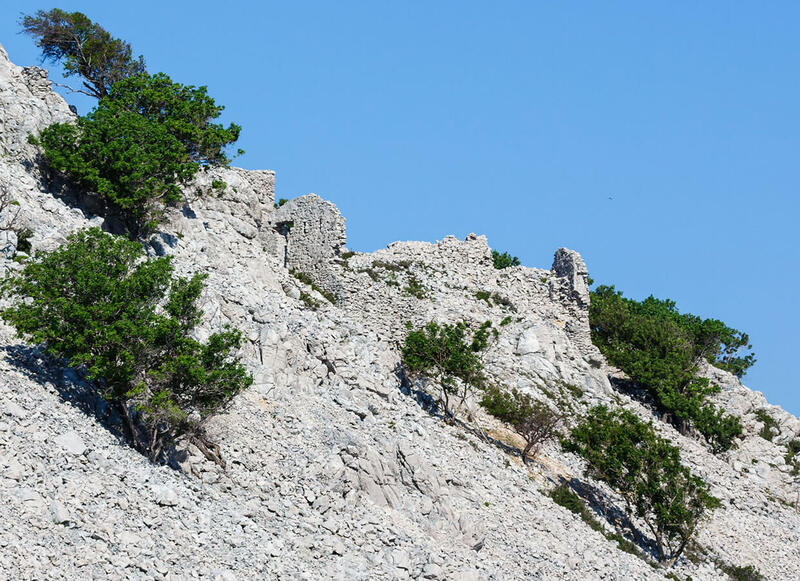 On the high grounds above the Omišalj bay, there are traces of the fortress Fortičina. 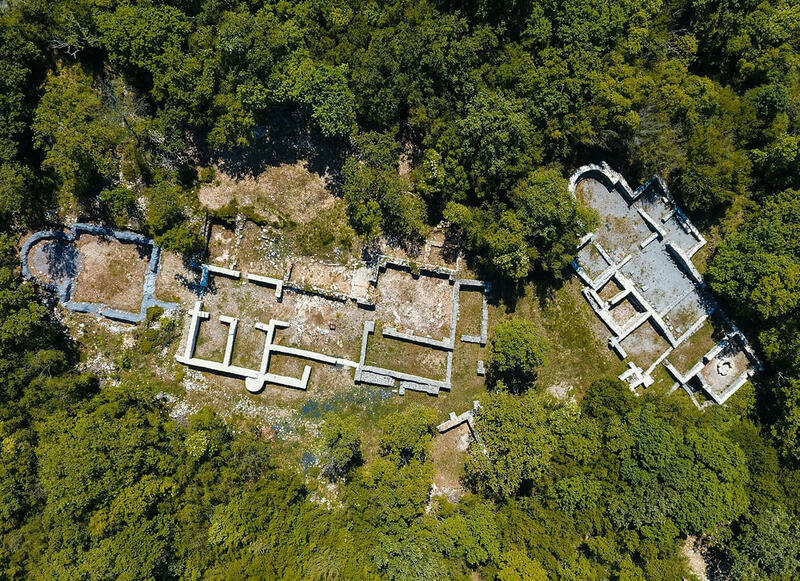 In the cove Sepen, just a few kilometres by air to the south of Omišalj, there is an inexhaustible site of archaeological heritage. 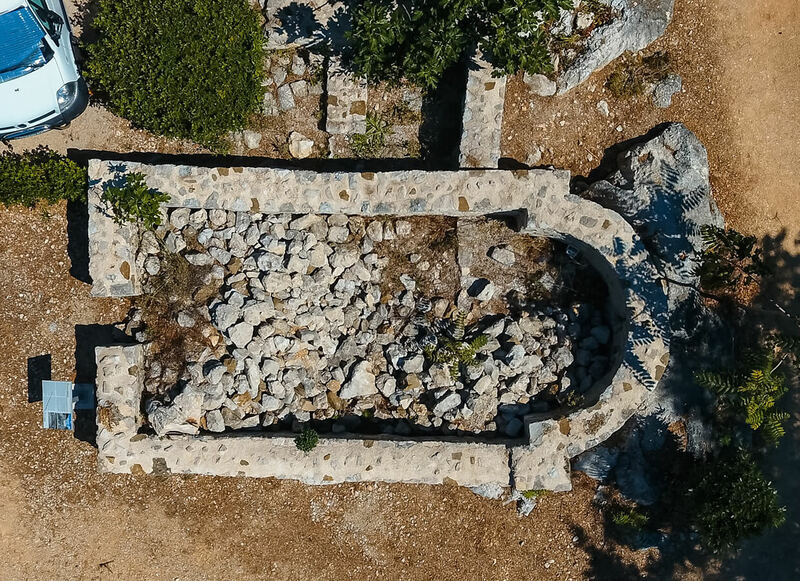 The remains of the still magnificent old Christian basilica, called Mira, built in the 5th century, rise on a flat plateau of the cove Sepen. 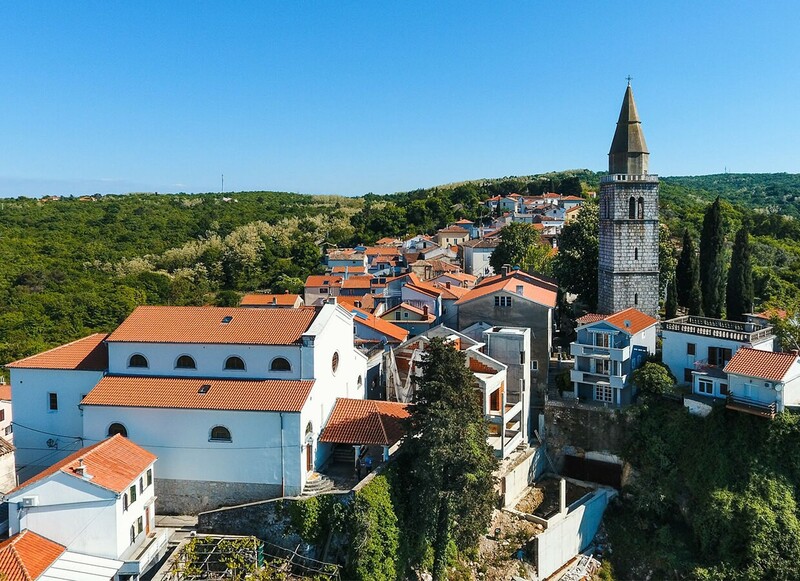 Crkva Uznesenja Marijina građena je u doba romanike, u 12. i 13. stoljeću. 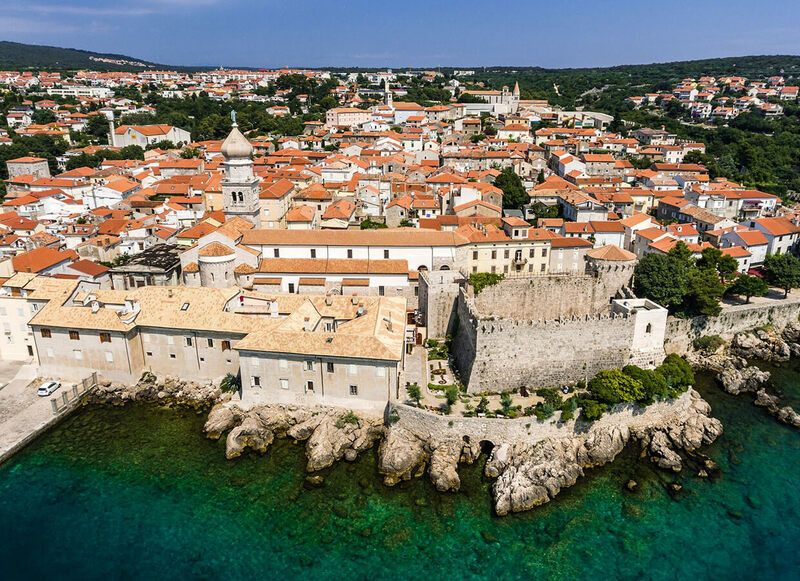 Izvorno, crkva je bila trobrodna, s tri istaknute apside na istoku. 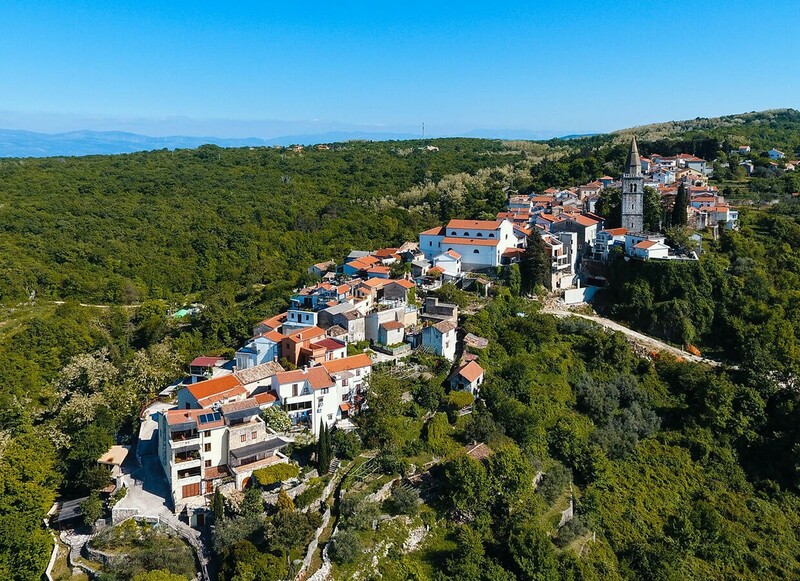 The small village of Omišalj is located in the northern part of the island, on a high hill above the sea. 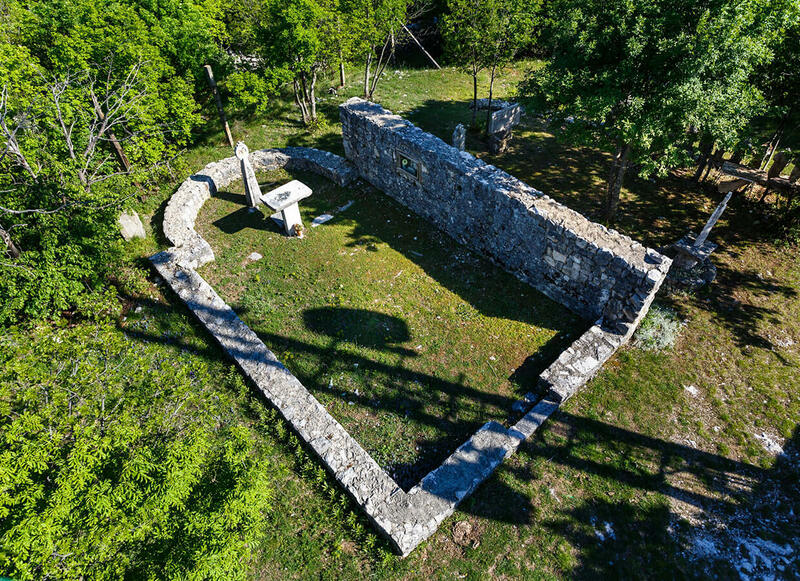 The remains of an interesting sacral edifice, the church of St Mary of the Spring is located in the camp Ježevac, on an elevated plateau surrounded by a forest. 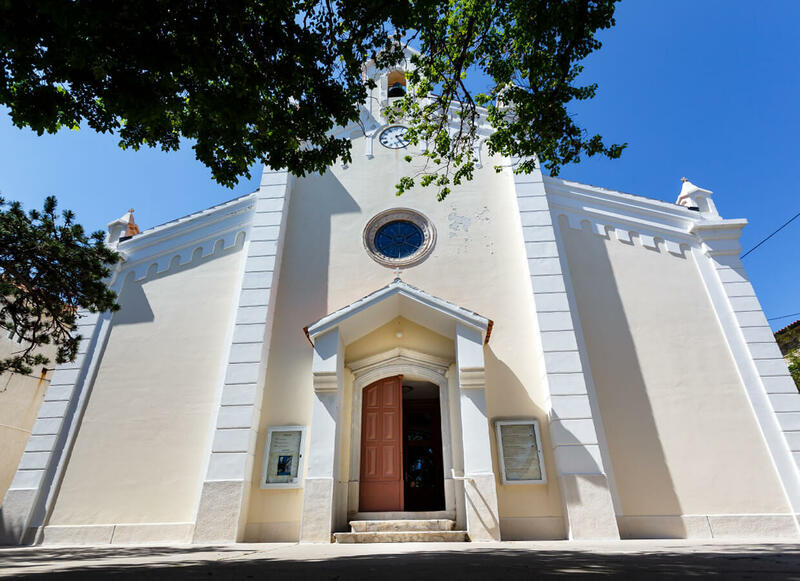 The church of Our Lady of Health was dedicated to St Michael all until the middle of the 19th century, and it used to belong to the Benedictine monastery of the same name. 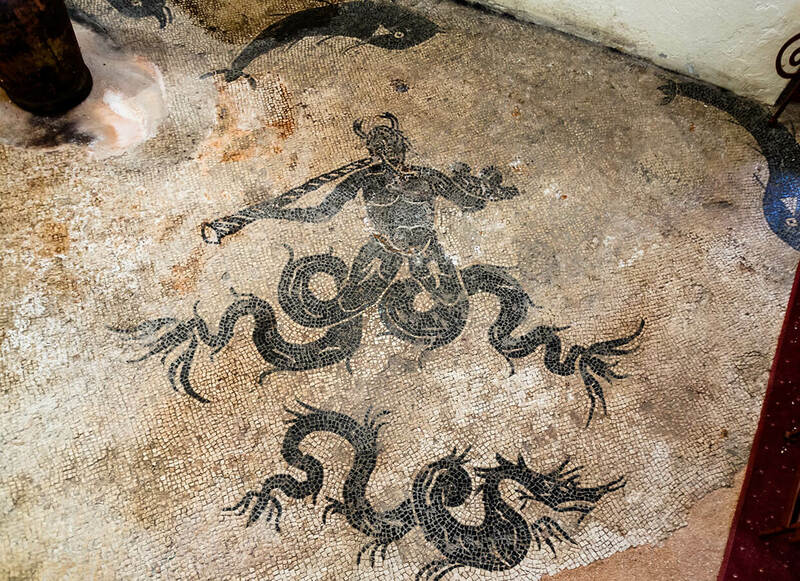 In a small alley leading from the main city square, Vela Placa, towards the south, there is the café Mate where archaeological research found a mosaic floor with a rich figurative illustration. 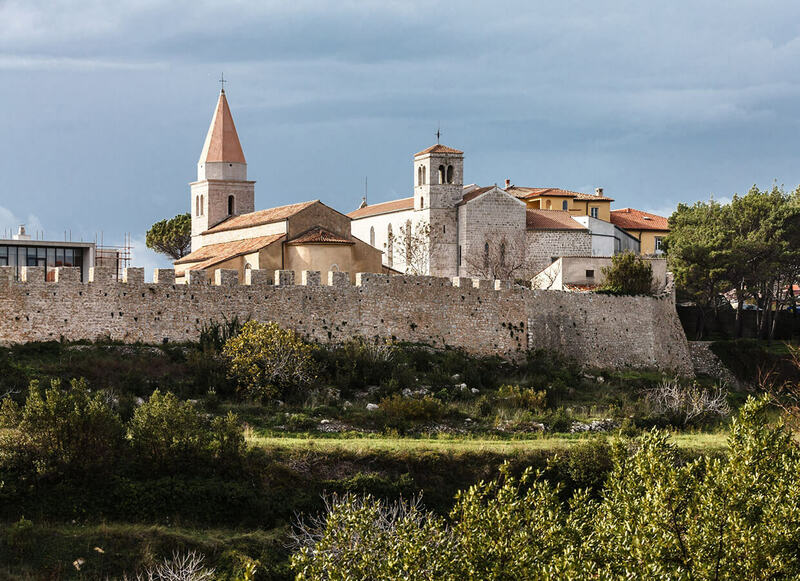 Ever since the 13th century, various documents, wills and statutes mention the monastery and the church of St Francis in Krk. 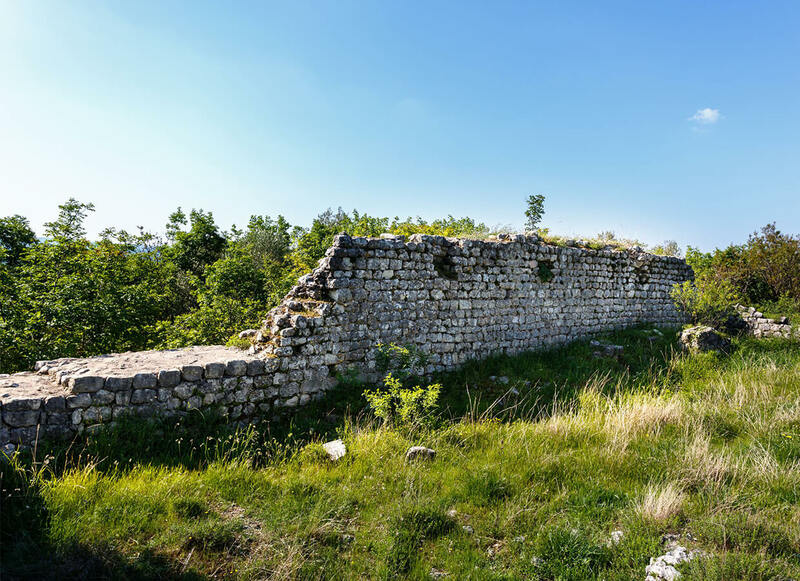 The walls of the city of Krk have been preserved almost entirely, while their oldest part dates back into the prehistorical time. 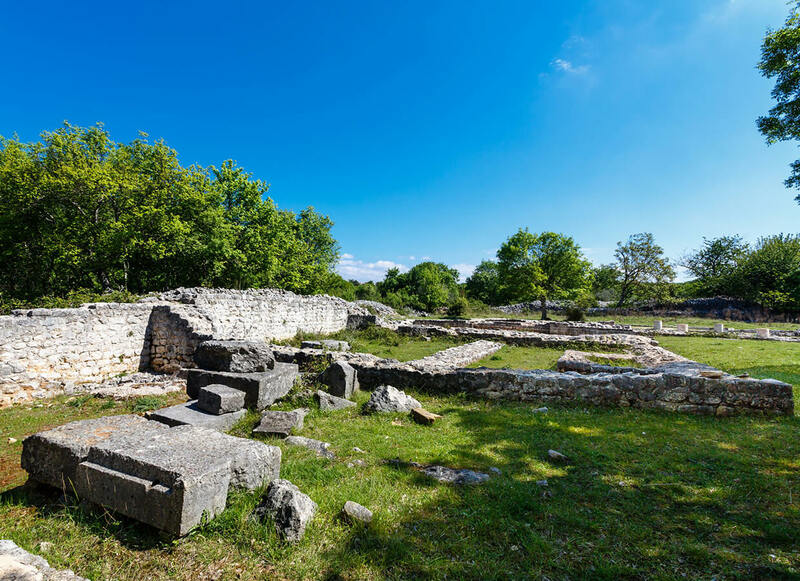 The oldest traces of the city of Krk and its surroundings date far back into prehistory. 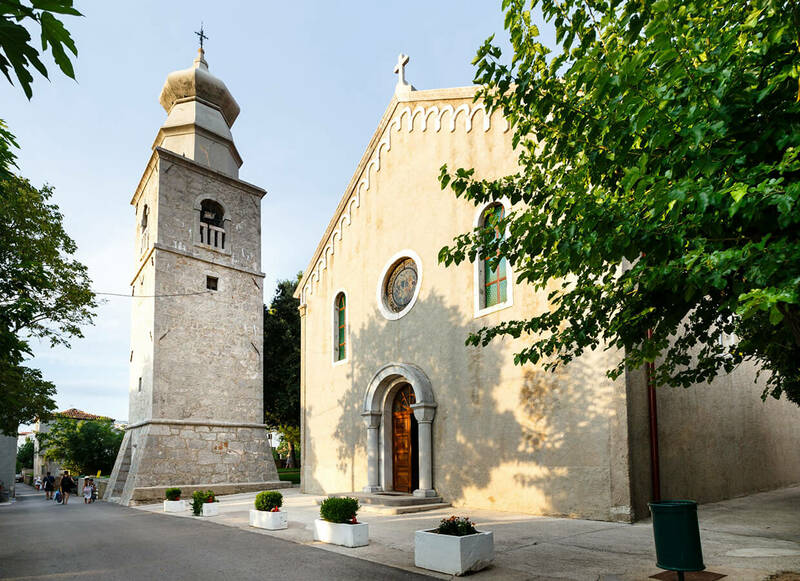 The church of St Clement in Klimno is mentioned in various sources already in 1381 as the property of the family Malatestinić from Soline. 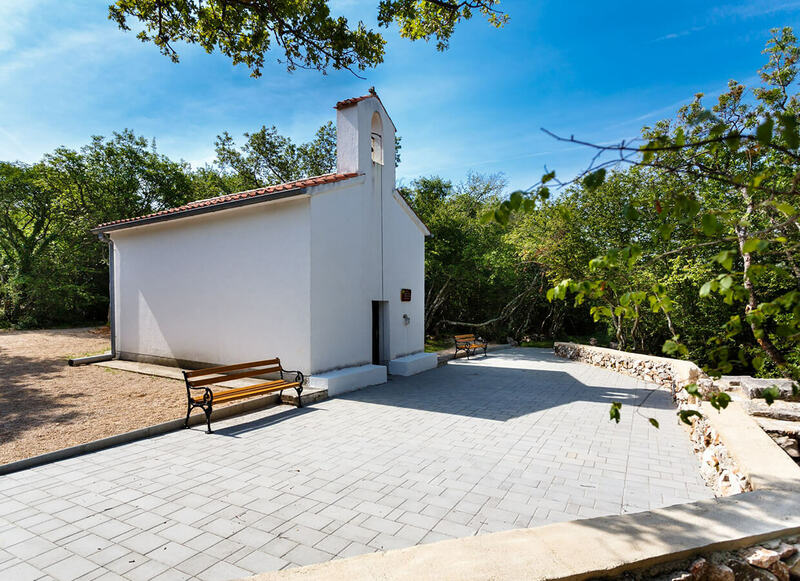 The church of St Peter on the peak near Gabonjin was originally a Medieval church, dated into the 13th/14th century. 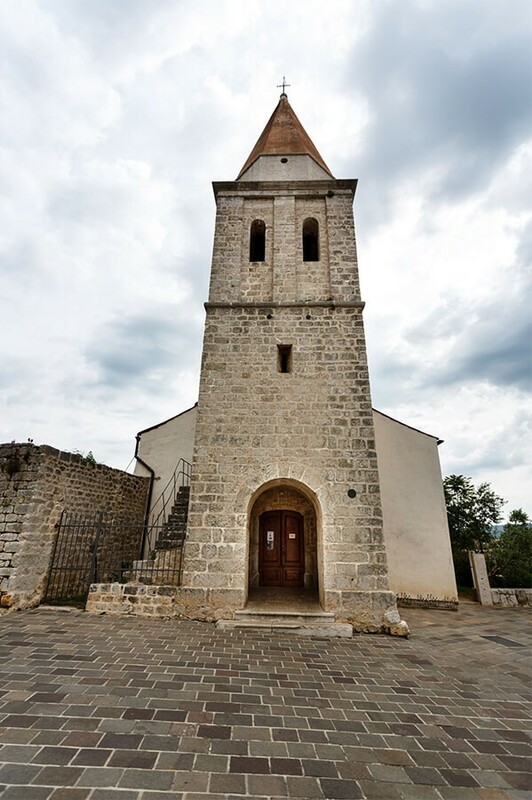 The church of All Saints in Sužan dates back to 1514 when it was built under the patronage of the brotherhood of All Saints from Sužan. 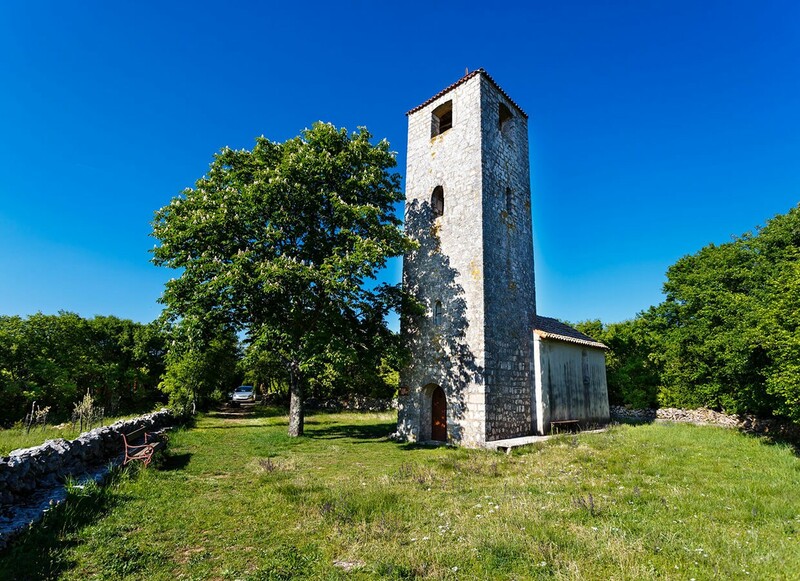 The church of St George on the hill near Kras is only partially preserved, in the archaeological layer. 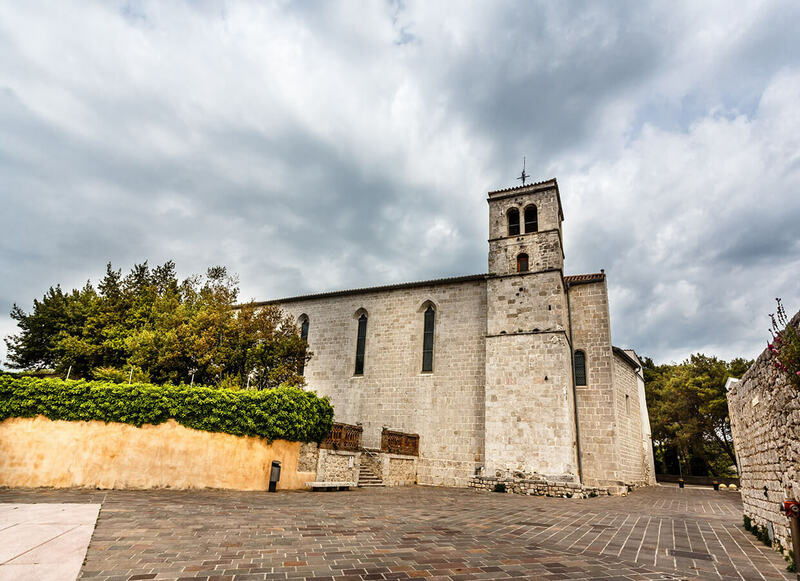 The Medieval church of St Philip and Jacob is situated on a hidden little hill above Soline. 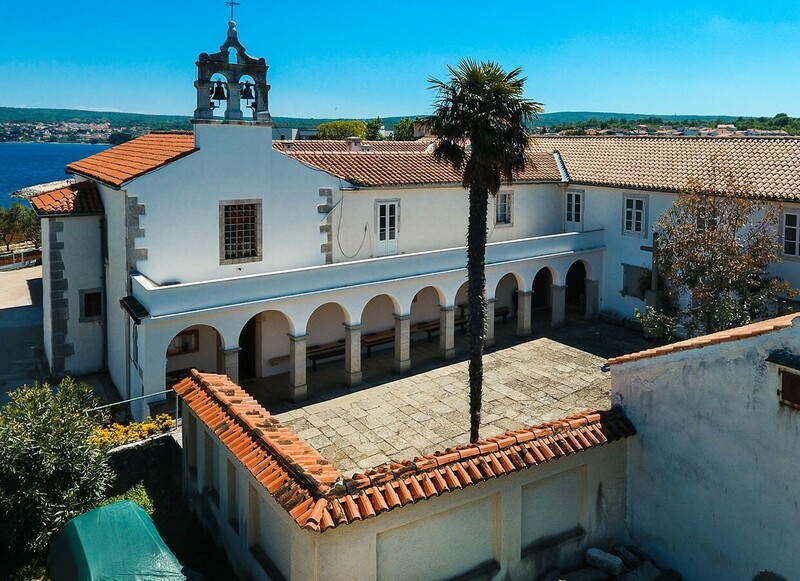 The church of St Vitus is one of the oldest Dobrinj churches. 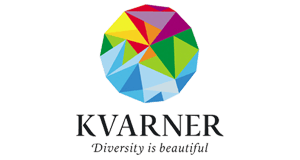 It is assumed to have been built in 1100. 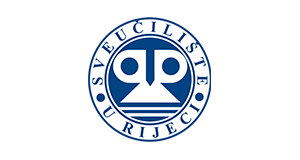 Župna crkva sv. 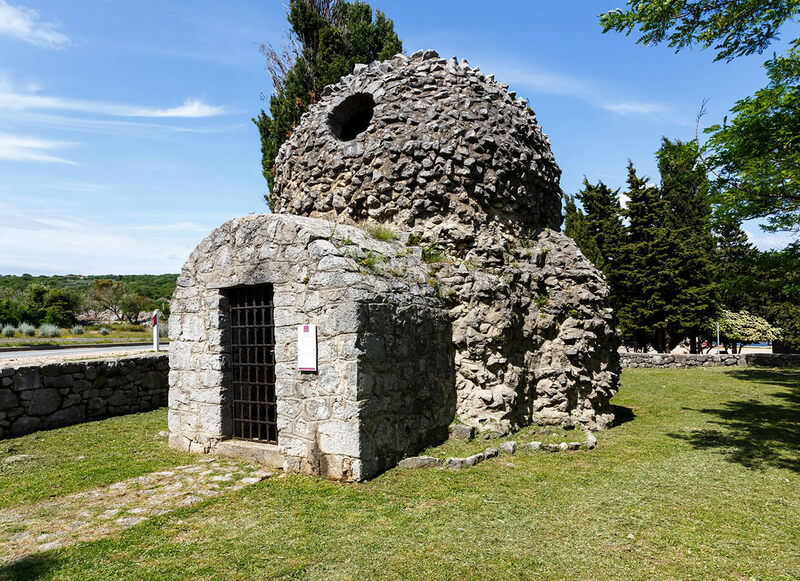 Stjepana spada u starije kapitulske crkve, o čemu svjedoči glagoljska listina iz 1100. koja ju spominje. 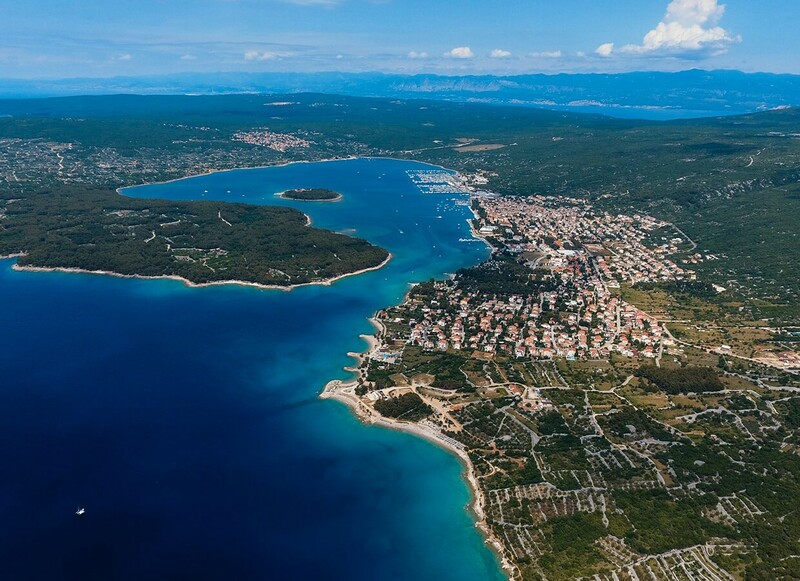 Crkvu je 1512. posvetio krčki biskup Dunat a Turre. 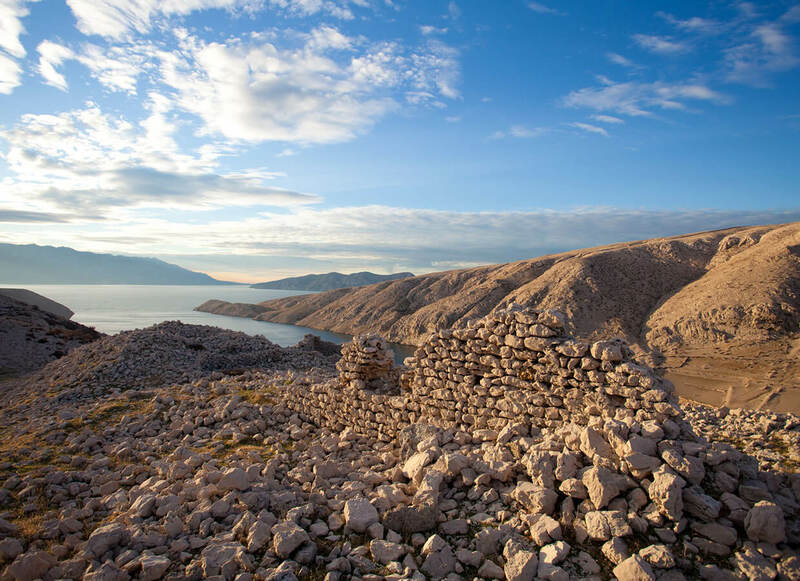 The Dobrinj area has always been densely populated since the prehistory. 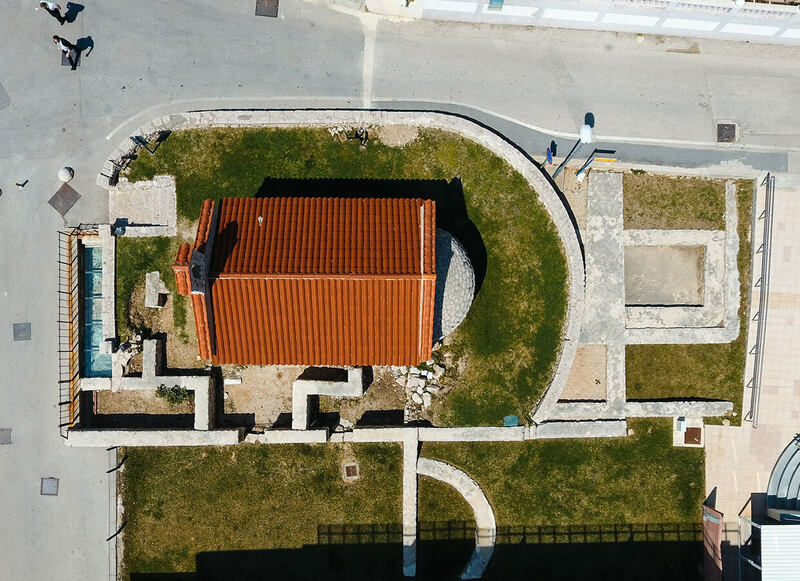 Na putu koji vodi prema vrbničkoj luci (Namori) nalazi se crkva sv. 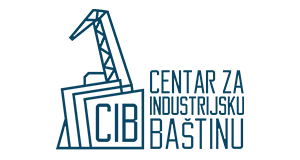 Ivana Krstitelja, zaštitnika Vrbnika. 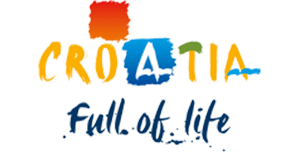 Crkvu je u 14. stoljeću dao izgraditi pop Damjan, vjerojatno 1323. godine. 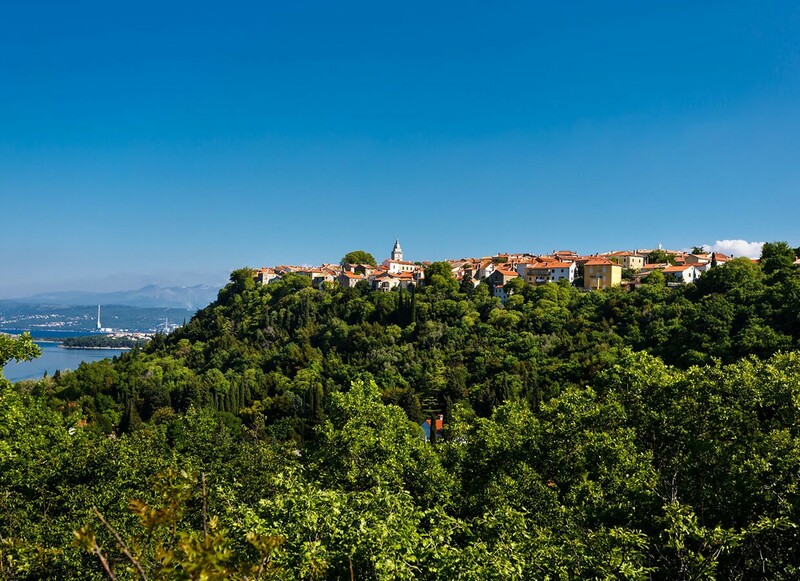 The famous locality Gradec is situated near Risika, almost hidden in the thick forest. 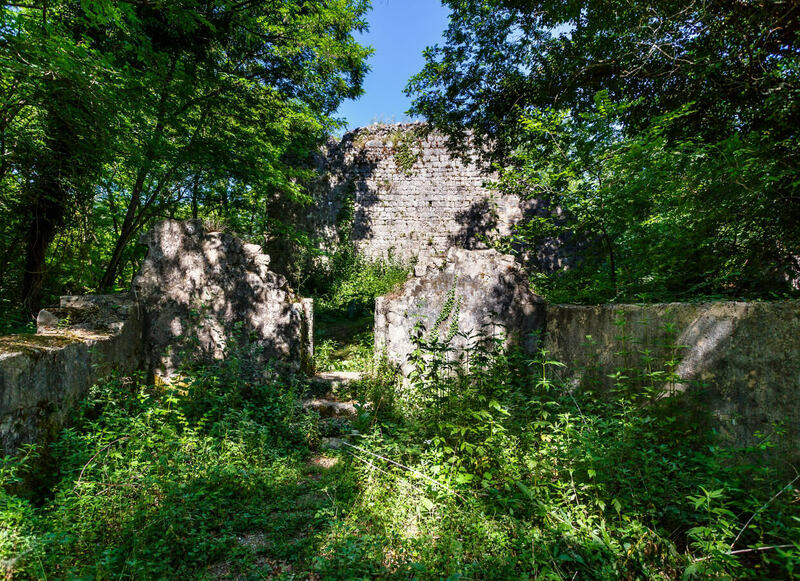 The remains of the large Castle – the fortress by the princes Frankopans, have been preserved. 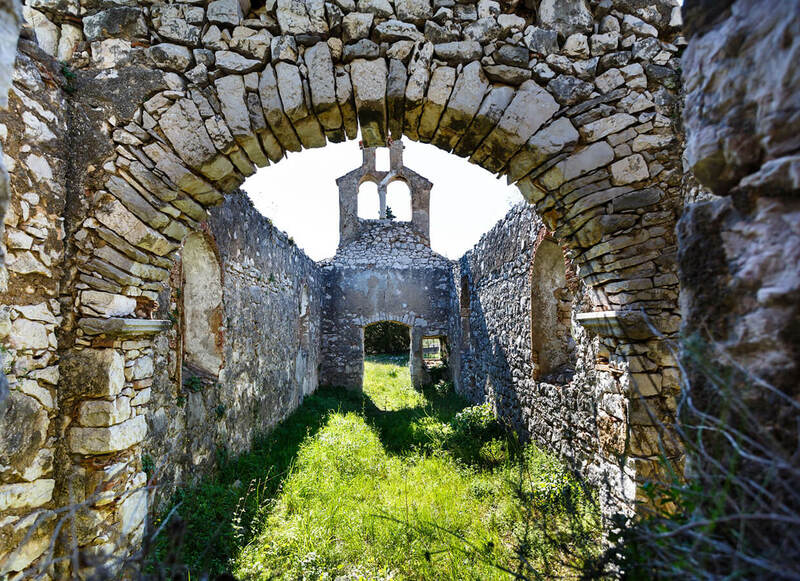 The remains of the modest, derelict church of St Marco are located on a protruding headland, near the village Risika. 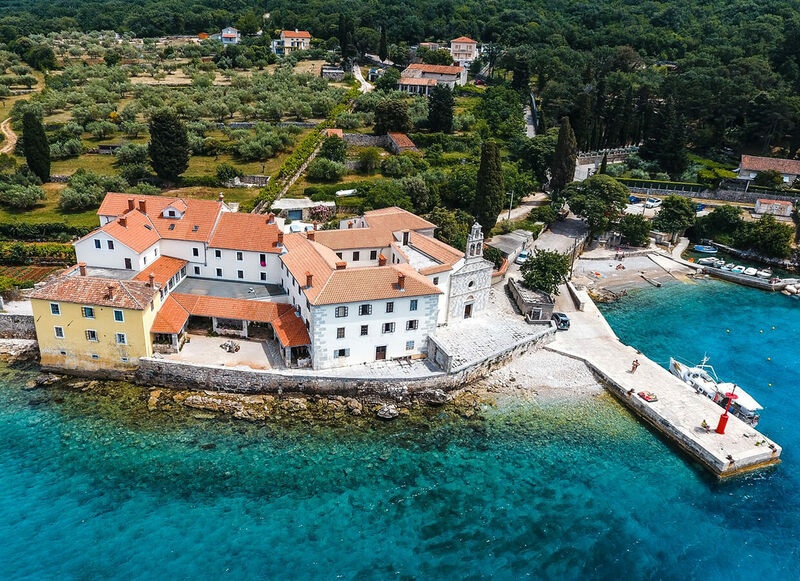 The cove of St George, to the north of Vrbnik, contains the remains of a Medieval church of St George located on a protruding headland. 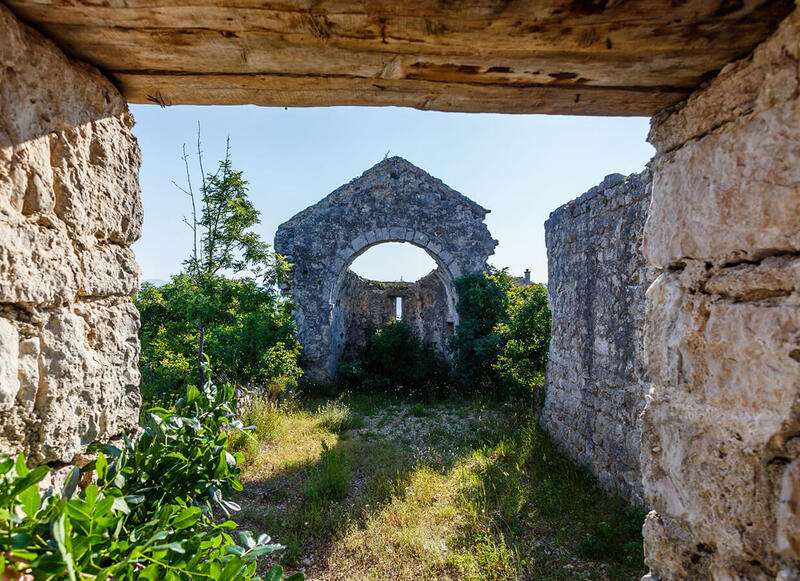 The remains of the old church of St Mavro lie on the top of the hill, to the south of Vrbnik, still covered in the landscape of low plants and dry walls. 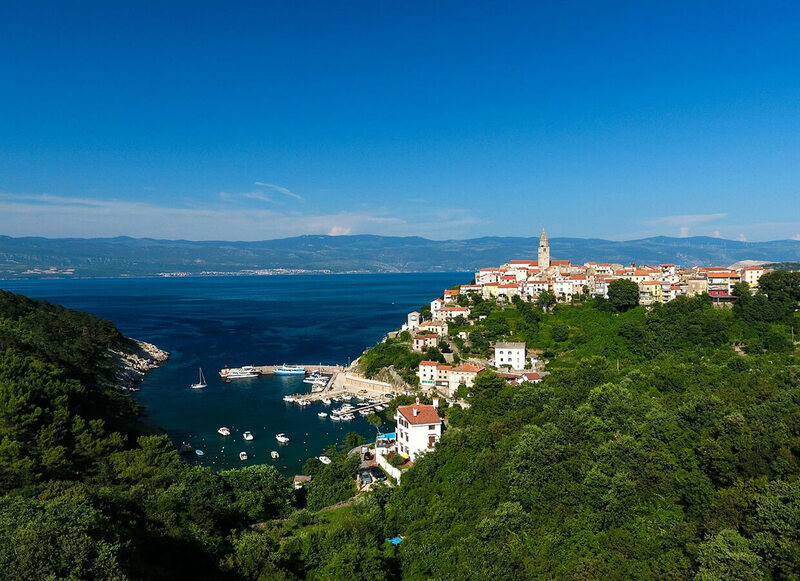 Vrbnik is situated on the top of a steep hill, as much as fifty meters above the sea. 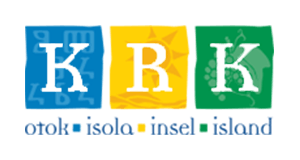 © 2019 Cultural heritage of the island of Krk.